Install IPKG on Synology via GUI | T.I.M. I wanted to add mbstring to my webserver php extensions. As there are a lot of guides via command line, it’s still a difficult thing to fix this the right way. Another way that is not really explained around the internet is that you can fix this via the GUI of you synology. In the package installer there is an option to add community sources. 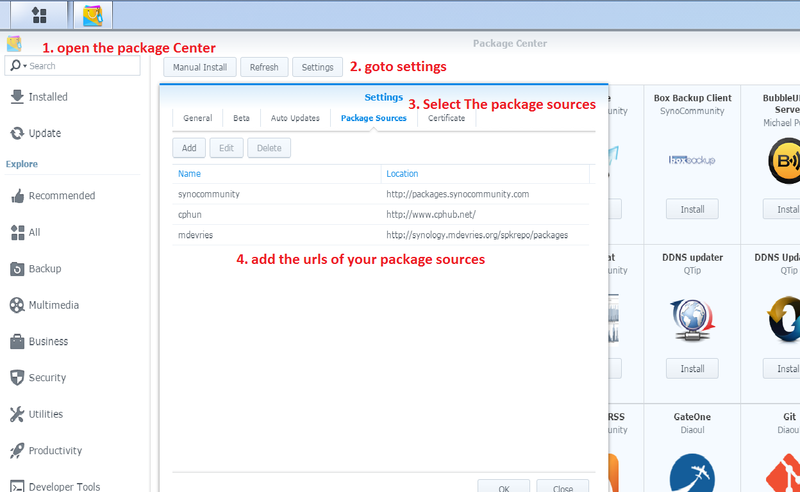 By adding links you are able to install a lot more packages on your synology. Of course these are not official packages, but are packages that are developed by third parties. So we are going to add third party urls. After that reboot your synology and now you have installed the IPKG. Runnable via commandline too.